Baking doesn't always have to be done in specially designated, expensive pieces of bakeware. 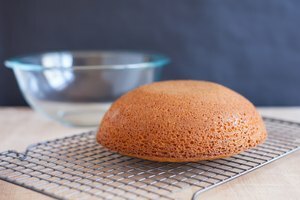 Cakes can be made in steel bowls to form a domed shape, or vegetables can be baked to a golden brown, right in the bowl. 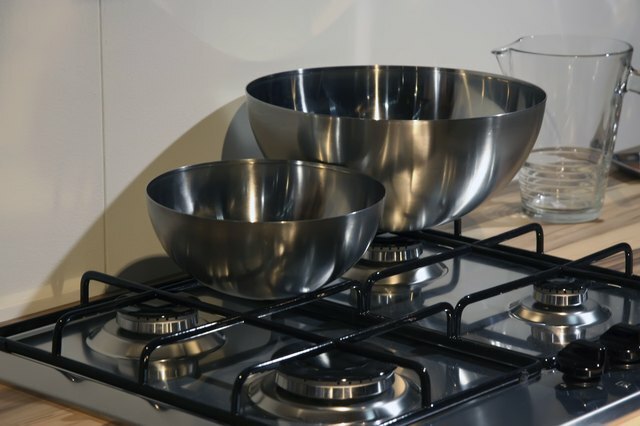 Before using a stainless steel bowl, it's important to grease the bowl thoroughly to ensure nothing sticks to the sides. Only use stainless steel bowls that state they are safe for use in an oven. Coat the inside surface of the stainless steel bowl with butter or shortening. This prevents anything baking in the bowl from sticking to the sides. Sprinkle a small amount of flour around the inside surface of the bowl, directly over the butter or shortening. Add your baking mixture to the stainless steel bowl. Place the bowl in a preheated oven. Use the temperature recommended for the recipe. You do not need to change the temperature to account for the stainless steel. 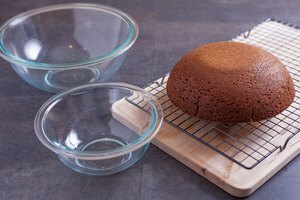 When baking cakes or breads in a steel bowl, the food may need to be cooked longer than the time stated on the recipe to ensure the middle of the item is thoroughly cooked. This can add 5 to 10 minutes to the baking time. Lightly push a wooden or metal skewer into the center of the cake. If the cake is cooked, the skewer will come out clean.